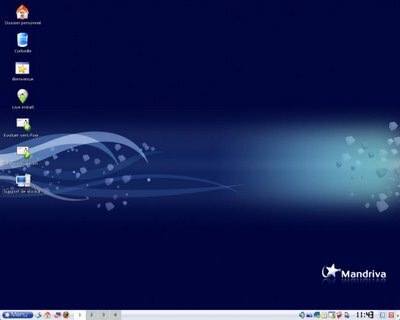 European software company Mandriva has released the 2009 update to its flagship Linux distribution, Mandriva Linux. Mandriva Linux 2009 claims to provide the most advanced and easy-to-use Linux operating system available and ships the “modern and cutting-edge” KDE 4.1 desktop environment and Linux kernel 2.6.27. The Powerpack edition features an updated set of commercial applications, including audio and video codecs from Fluendo, image manipulation with LightZone, VMware’s virtualisation, and applications from Google. To ease installation the graphical installer has been overhauled and the online software updater has been improved. Also improved is the boot time and parental control utility. If you have a new mini-laptop, or “netbook”, the Mandriva installer is now capable of detecting it and will install the “appropriate” GNOME (version 2.24) environment. Mandriva 2009 also claims “easy, 100 percent graphical synchronisation” with mobile devices running Windows Mobile 2002, 2003, 5 and 6, all BlackBerry devices, and many Nokia devices. The release is available in three editions: Powerpack, One, which includes a live CD, and Free for only open source software.